Producing and managing a construction project schedule can be a challenge for many construction business owners. In order to be effective, the construction project schedule must be both accurate for the short-term and flexible for the long-term. Communicating the construction project schedule every week to your team and your customers ensures that goals are met and expectations are clear. In my previous post, I discussed why your weekly scheduling meeting is the most important meeting for your construction business and a 5 step process for streamlining this meeting. Now that you know how to conduct the weekly scheduling meeting, you need a tool to display this information to your team. But before you can do that, you need to make sure to define the type of schedule you want to communicate. In this article on FineHomebuilding.com, I discuss the types of construction project schedules that exist in every construction company and give you examples of not only templates to use, but also a few recommendations for software applications to produce effective Gantt charts. Everyone involved in a construction project – the owner, the designer, the general contractor, the trade contractor, and employees – has a schedule (small ‘s’) in their minds. But the only thing that matters is the Schedule (big ‘S’). The Schedule (big ‘S’) is objective – fact-based. A schedule (small ‘s’) is subjective – opinion-based. Asking the question, “What’s the schedule,” may produce a theoretical answer based on inaccurate information. But asking the question “Where’s the Schedule,” implies there is a tangible document that shows the plan for the construction project. If the Schedule isn’t written down and distributed to the people involved, then the Schedule doesn’t exist. A schedule exists, and that schedule (small ‘s’) may differ from person to person. *Click here for the history of the Gantt chart. A Gantt chart displays the workflow breakdown (phases/tasks) of the project along the y-axis and the duration of the individual project tasks that make up the workflow breakdown on the x-axis. The duration of the individual tasks are represented by a bar, and the progress of each task can be shown by shading the corresponding portion of the task bars. Building upon the basic layout of the Gantt chart, let’s take a look at the two types of schedules that most residential construction companies can use to communicate the Schedule to your customers and employees. An overall Company Schedule displays the scheduling information for all existing, upcoming, and potential projects. The benefits of creating a Company Schedule are the ability to see how far out your company is booked, where conflicts between projects may exist, any gaps in work, and when the major and minor events (milestones) are required. Let’s say that your average project duration is 10 weeks from start to finish with a 2 week pre-construction phase. You have two crews available to dedicate to any given project at a time, and have two potential projects that may come online in the next three weeks. 1. The Smith project is on schedule. 2. The Jones project is falling behind. 3. The crew that is working the Smith project will go to the Miller project next. 4. The crew that is working on the Jones project will go to the Van Dyke project next. 5. Any new work should not be scheduled to start before the third week in February. 6. The schedule is wide open near the middle of March. In the example above I used three task items to represent the duration of the project – Pre-Construction, Production, and Close-Out. You can break each project down on the company schedule into phases or you can use one task item to represent the duration of the project. A simple Company Schedule will help you see exactly where and when work should be placed on the Schedule in order to complete projects in an efficient way. There’s no way to keep all this information in your head without missing important information. I would recommend updating the Company Schedule during the weekly Scheduling Meeting (see this post for how to conduct a Weekly Scheduling Meeting). Now that you have an overall and broad outlook on the Company Schedule, it’s time to produce the Project Schedule. The Construction Project Schedule is the playbook for timely completion of the individual projects within a construction company. The Project Schedule shows the individual tasks and phases of the project, their associated durations, their sequencing requirements, and their dependencies upon one another. This is where the Gantt chart really shines. All that information can be displayed in an easy to absorb manner. This simplified version of the Project Schedule shows the itemized tasks and phases along with the general sequence of events and the milestones associated with completion of each phase. Every project schedule will differ, but you can save time by building templates for each type of project that you perform. Once you have your templates built, then you can copy your Project Schedule template and edit as required. List the Phases of the Project. Break down the phases into individual tasks. Establish the Milestones for each Phase. Set the dependencies of each task and any overlap that can occur between tasks. Determine the Critical Path for the Project. Review the Project Schedule each week and adjust as needed. Coordinate changes in the Project Schedule to the Company Schedule each week. Developing and managing the individual Project Schedules and coordinating these Schedules with the overall Company Schedule takes time. Dedicate time each week to reviewing and revising these Schedules and your productivity will increase. Your customers and employees will be better informed on what to expect and what to plan for. You will reduce the stress of running your construction company because you will be proactively working from the Schedule (big ‘S’) instead of reacting to a schedule (small ‘s’). I recommend using a scheduling software that produces a Gantt Chart. I have used TeamGantt for years because of its simplicity and excellent user interface. TeamGantt is not a construction specific program but its simplicity and user interface make it easy for the beginner to get started on producing great looking Gantt charts. It has other project management capabilities and functions like resource allocation, time tracking, and communication options. TeamGantt’s pricing is hard to beat. They have a free version, but the paid version is inexpensive for what you get. If you are looking for a more comprehensive project management software solution, then CoConstruct and BuilderTrend are some good options. These programs are more expensive, but offer a construction specific platform. I have found the more comprehensive the program, the higher the price and the steeper the learning curve. So give yourself some time. There are a plethora of free excel based Gantt chart programs, but excel programs require a deep knowledge of excel programming and are not as intuitive as the other Gantt chart softwares listed above. Maintaining and communicating an accurate yet flexible construction schedule is the key to effectively running your construction business. Plan the Schedule (big ‘S’) each week and you’ll avoid reacting to a schedule (small ‘s’) constantly. Shawn Van Dyke is a construction industry consultant, business coach, and mentor to skilled trade business owners. 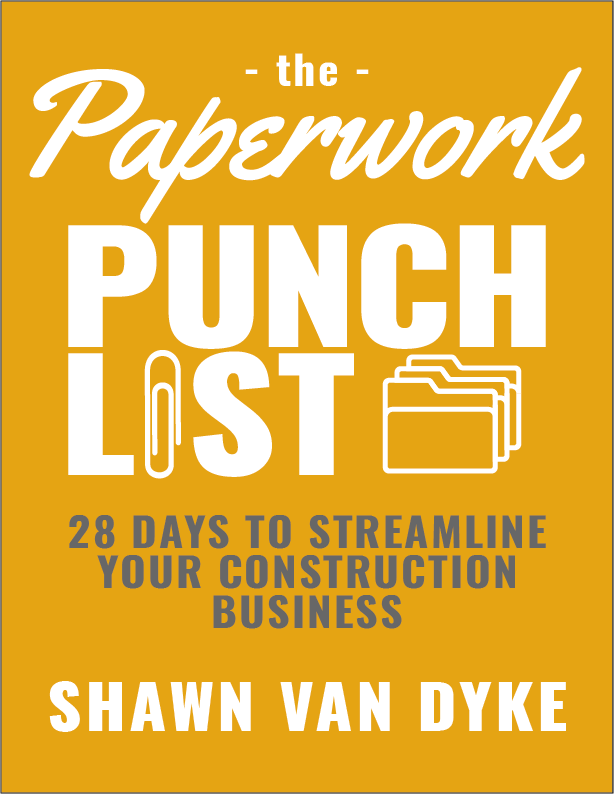 He is a Brand Ambassador for Fine Homebuilding, travels across the US as a keynote speaker, seminar presenter, and the author of The Paperwork Punch List: 28 Days to Streamline Your Construction Business. 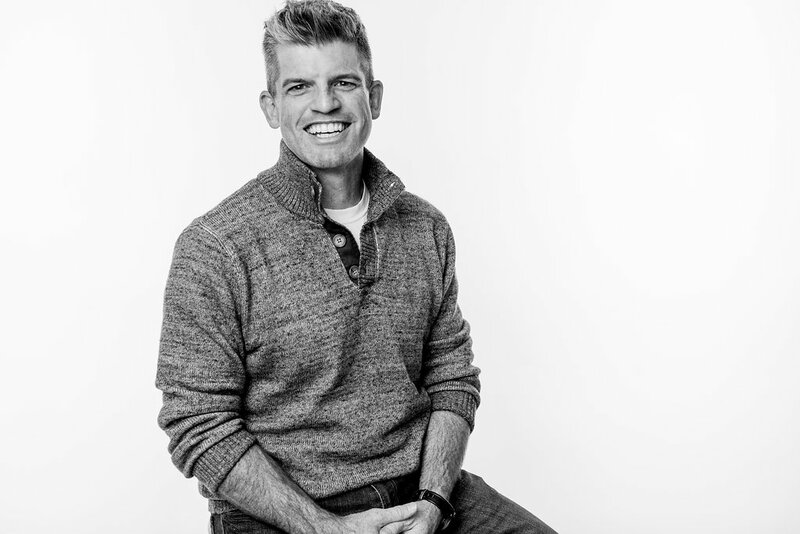 Contact Shawn to have him speak at your event or invite him to train your team.